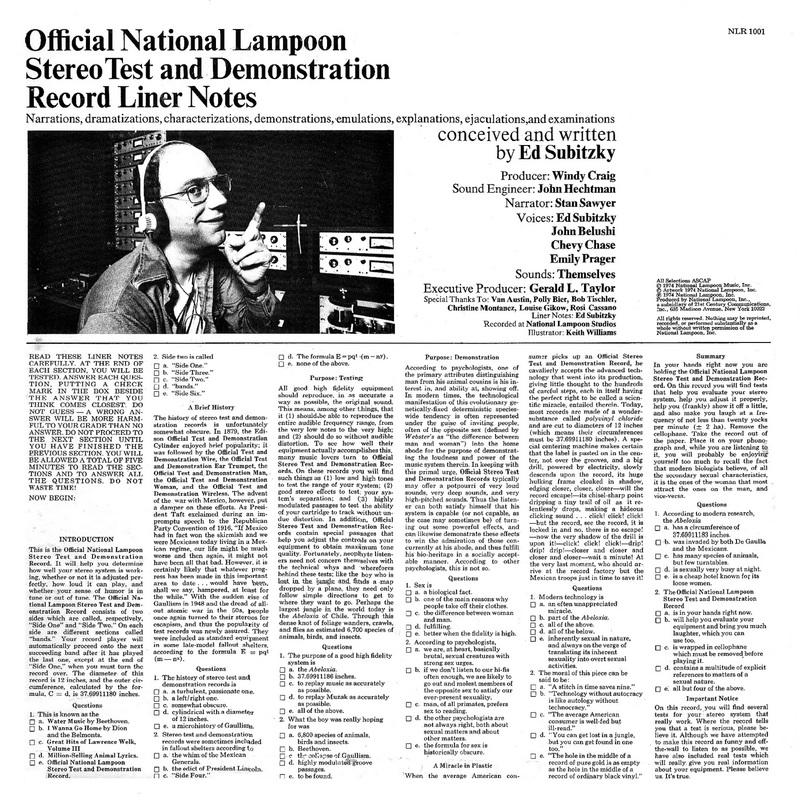 The Official National Lampoon Stereo Test and Demonstration Record was a comedy album in LP format which was put out by National Lampoon magazine in 1974. 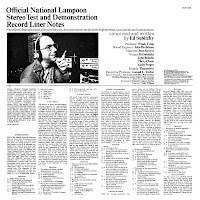 The album was a parody of stereo test and demonstration records, which were used by hi-fi enthusiasts to test the performance limits of their audio systems. The tracks are titled as if they are normal audio test tracks, but in reality each one is a piece of sketch comedy. 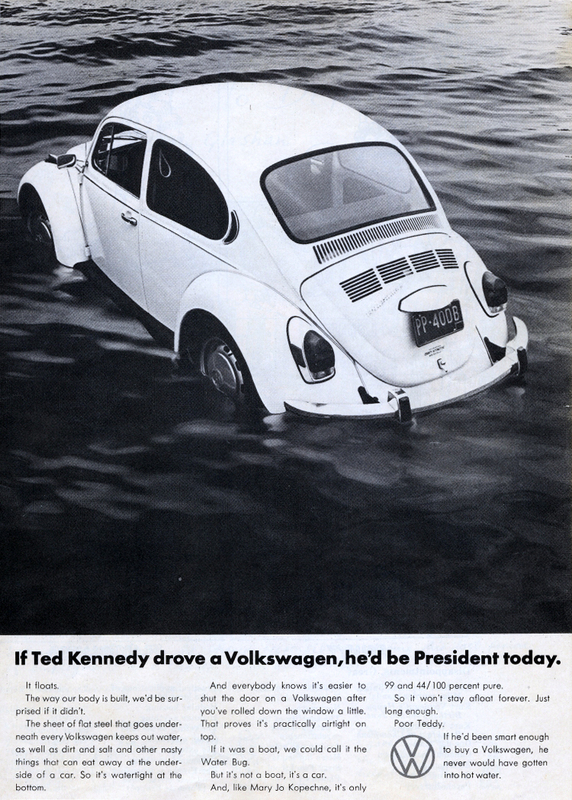 Included with the record was a 32-page booklet entitled "The Official National Lampoon Hi-Fi Primer," which was a parody of a hi-fi glossary that included real advertisements from stereo equipment manufacturers. 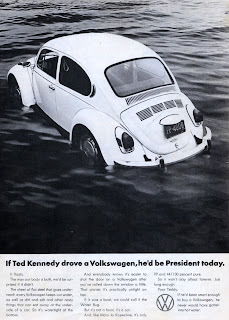 The liner notes for the album stand as a humor piece in their own right. After each section of liner notes, the reader is "required" to take a multiple choice test to see if he/she has understood the material. 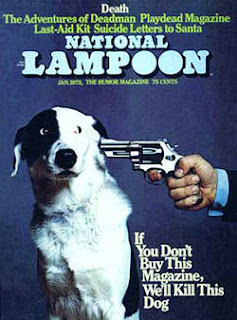 0 comments on "National Lampoon - Official National Lampoon Stereo Test & Demonstration Record 1974"